AccuTherm is a specialist in designing and manufacturing quality process air duct heaters that heat moving air and gases up to 1200°F. 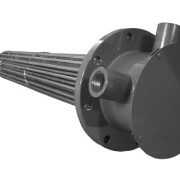 These heaters are suited to handle many industrial applications. Process air duct heaters are installed into ducts and ovens for applications such as; air drying, curing paint and coatings, chemical and food processing and metal finishing. 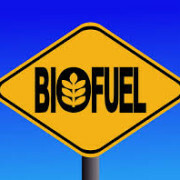 Circulation heaters are ideal for industries that are dealing with bio-fuels. They are efficient, safe, and require minimal labor for installation. A common type of heater used in the food service industry are Immersion Heaters. Immersion Heaters are industrial heating appliances that are used by many industrial processes for maintaining a fluids temperature. Many industries including the food industry make use of these electric heating devices to meet their heating environment requirements. 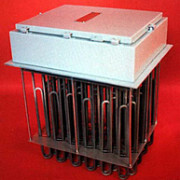 Immersion heaters come in various sizes, shapes and watt density. They are inexpensive, dependable and durable heat transfer solutions that can be customized to suit your company’s needs. A thermocouple is a temperature-measuring device consisting of two dissimilar conductors that contact each other at one or more spots, where a temperature differential is experienced by the different conductors (or semiconductors). It produces a voltage when the temperature of one of the spots differs from the reference temperature at other parts of the circuit. The National Electrical Manufacturers Association, also known as NEMA, is one of the most prestigious and preferred trade associations for electrical product manufacturers. Member companies manufacture products that are used in conjunction with the generation, distribution, transmission, use, control and storage of electricity. 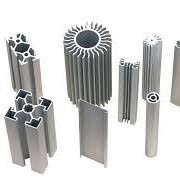 The products are used for medical, institutional, commercial, residential and industrial applications. NEMA standards deal with the manufacture, performance testing, application and rating of various electrical products. The terminal boxes used on industrial electric heaters are typically given a NEMA rating to insure it meets the requirements of the environment where the heater will be installed. NEMA defines the requirements for electrical enclosures under NEMA Standard Number 250. 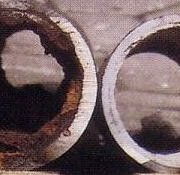 Heat is measurable and can be produced using electricity. 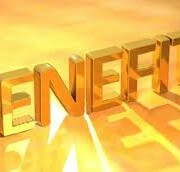 The energy that is produced from an electrical heating system is considered a key source of energy. Immersion heaters are a key component in many electrical heating systems, such as those used in the oil and petrochemical industries. A flanged immersion heater consists of hairpin bent tubular elements attached into a flange, with wiring boxes used for electrical connections. 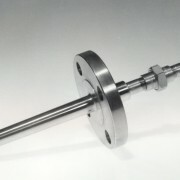 A Flanged immersion heater can be installed by bolting to a matching flange. For effective results, it is advisable that you install the heater using the direct immersion method to monitor and control heat thus conserving energy. 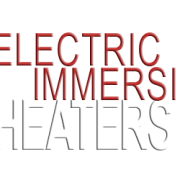 Immersion heaters are a critical heating element that is necessary for a myriad of industrial applications. With superior designs, non-compromising seals, and quality welds, these industrial immersion heaters can be placed in almost any liquid. From oils, waters, and even harsh viscous liquids, you’ll find that the engineering behind the AccuTherm immersion heaters is near perfect and can be used in even the harshest of environments for heating and temperature control purposes. Many industries reap many benefits from incorporating electric immersion heaters into their processes. Used to heat fluids (gases and liquids), electric immersion heaters offer a more controllable and accurate way of heating. This allows for more controlled results, better quality and increased efficiency. Industrial immersion heating is used in many and varying fields including petrochemicals, heating water, and cement curing to mention but a few. AccuTherm is an expert in the design and manufacturing of heating systems for the extrusion press industry. With our years of experience in this application, we provide extrusion press heaters that will provide a long life performance in these laborious applications. Care is demonstrated in every design to uphold its maximum capacity, space availability, watt densities, all while being paired with the finest materials applicable. All these combinations will provide the heater with superior life in the applications they are utilized for.